Maradona, a young man (Tovino Thomas) , due to some dangerous situations, moves out of his hometown and reaches Bangalore to stay with his distant relatives. However, during his stay there, his situation worsens further. He meets new people there, observes their behaviour and events that follow changes his life forever. Who was Maradona, and what changed him, forms the crux. WOW! Mammootty’s The Great Father Is Next Only To Baahubali 2! Adam Joan Box Office Collection: 36 Days Kerala Collection Report !! Theeran Adhigaaram Ondru Box Office Collection, Movie Real Review and Rating !! Naachiyaar Tamil Movie Box Office Collection Report, Movie Real Review !! 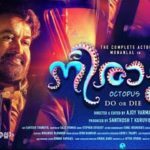 Udaharanam Sujatha Box Office Collection Report!!! !